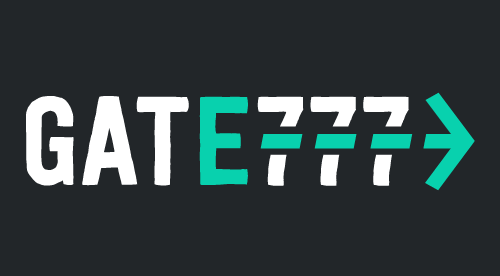 Launched in 2018, Gate 777 takes a somewhat novel approach and breaks away from some of the standard online casino themes. Inspired by a love of travel, the site is styled after an airport departure gate – perhaps not the first thing you'd associate with fun, but the art style and way the theme is used to humorous effect really works. The presentation is clear and streamlined, so it's very easy to navigate your way around the site. Couple that with a truly massive choice of games, and Gate 777 could well provide you with the winnings to jet off into the sunset yourself. It's a very accessible and enjoyable site to use, and easily one of the most fun out there. With over 20 game developers providing gaming content, you’re almost guaranteed to find some games to your liking. The sheer of number of providers makes it easy to think that perhaps Gate 777 has skimped, and gone with less known or reputable developers, but that's not the case at all. You'll find titles from NetEnt, Genesis, Leander Games and Microgaming, to mention a few. One thing that Gate 777 doesn't change is having a selection of slots on the home page. Like most other sites, the real meat of the games is found in the slots section, but rather than give you an endlessly scrolling page, a group of around 18 are presented at one time. You can then click to view more titles. It's a nice touch that presents the site's vast selection in manageable amounts. Jackpot titles are separated from the standard slots as well, and you can quickly flip between the table games, the live casino and slots. If you're not sure where to start, there's a handy 'top' category too. This contains the most popular slots (including Starburst of course), the latest games to arrive and the staff's picks. There are far too many slots to play to list here, but the main thing to note is that there are a number of well-known classics like Gonzo's Quest and Starburst alongside modern titles too. There are some good movie tie-ins, including the Planet of the Apes slot and the Naked Gun progressive. Gate 777 has a much larger selection of casino table games than most other sites too. You can play roulette, blackjack, poker and baccarat, not to mention pontoon and punto banco. There are also a number of varieties of each game type, including Texas Hold’em poker and European blackjack. Known as "Your First-Class Casino"